While the Malthouse no longer stands, Brancaster Brewery is keeping a brewing tradition alive in north Norfolk by producing quality ales from the finest regional produce. You can buy a pint of our ale here at The Jolly Sailors or take a box of bottles home with you. Also available at all other ACI establishments in Norfolk and Hertfordshire. 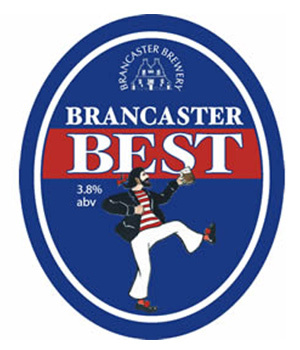 BRANCASTER BEST is a bottle conditioned ale brewed using Teddy Maufe's world class malted Maris Otter barley from Branthill Farm, Wells-next-the-Sea. It is a refreshing session pale ale with a touch of citrus on the finish. 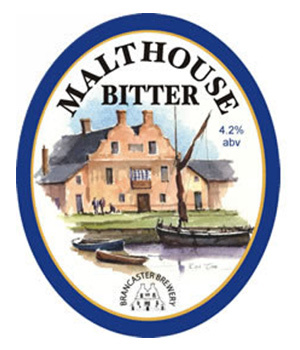 Malthouse Bitter is named after the great Malthouse built in 1797 in Brancaster Staithe reputedly the country's largest Malthouse at that time. It is a bottle conditioned mid amber ale made with malted Maris Otter barley from Branthill Farm, Wells-next-the Sea and has a malty character with distinct bitterness on the finish. 4.2% Malty character with distinct bitterness on the the finish. 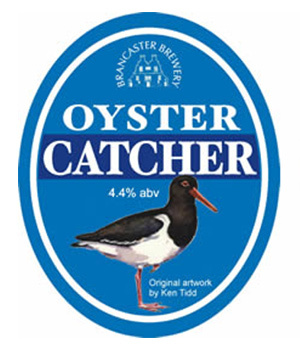 OYSTERCATCHER takes its name from a local bird, also known in the area as Sea Pie. This bottle conditioned ale is brewed with Teddy Maufe's world class malted Maris Otter barley from Branthill Farm, Wells-next-the-Sea. OYSTERCATCHER is a sunshine golden ale, refreshing and moreish. Best drunk watching the sun go down over the marshes at Brancaster Staithe. 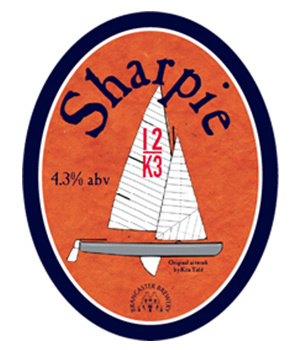 Sharpie K12 A hoppy copper coloured bitter with a refreshing tang, named after a traditional sailing boat often seen sailing on the north Norfolk coast. K12 is the symbol of the International 12 class, referring to the 12m sq sail area of the Sharpie. This bottle conditioned ale is brewed using Teddy Maufes world class malted Maris Otter barley from Branthill Farm, Well-next-the-Sea. 4.3% A hoppy copper coloured bitter with a refreshing tang. a clear winner in the Old English Ales tasting Octoberfest held at the Real Ale Shop at Branthill Farm, Wells next the Sea. All ales entered into the 'fest' are bottle conditioned brewed with malt made from 2009 Maris Otter barley grown on Mr Maufe's farm at Branthill. A distinguished panel of four judged the competition including Tim Hampson, chairman of the British Guild of Beer Writers who was very impressed by the overall standard. 'Norfolk has some of the very best micro-breweries in the country', said Teddy Maufe owner of The Real Ale Shop at Branthill. THE WRECK SS Vina is the shipwreck that can be seen on Brancaster beach at low tide. Once a vessel in the merchant navy, it was towed up to the North Norfolk coast to provide target practice for the RAF before sinking in 1944. Having beached itself just off Scolt Head Island, where it remains today despite numerous attempts to remove it. Over the years the 'wreck' has become an iconic landmark for all those visiting the coast. 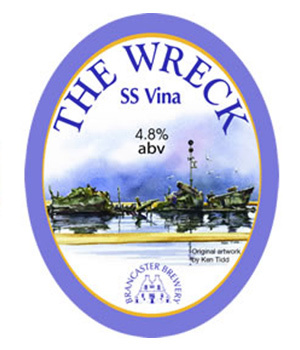 Made with malted Maris Otter barley from Wells-next-the-Sea, The Wreck SS Vina has lots of body and flavours of sweet coffee and malt, with an aromatic finish from the Boadicea hops. - All labels feature original artwork by local artist Ken Tidd.